IAF General Amir Eshel adamant that Hezbollah's 'immoral tactics' won't prevent Israel from attacking civilian areas in next Lebanon war. The Israeli Defense Forces will practice "no restraint" in attacking civilian areas in Lebanon should another war break out with Lebanese terror group Hezbollah, a senior military official told German newspaper Die Zeit. According to Israeli Air Force (IAF) chief Major-General Amir Eshel, Israel will not hesitate to attack military command centers located inside civilian areas and buildings. Eshel stressed Israel "will not show restraint due to the immoral war tactics of our enemies." "Years ago, Hezbollah began to transfer military infrastructure to residential areas, thereby turning the population into a human shield,” Eshel said, backing up recent assertions made by a number of Israeli defense officials. "Many villages in Lebanon are built anew to turn into army bases with underground missile sites and ammunition storages. This is how things are in some areas of Beirut as well," Eshel noted. While Eshel said Israel had no intention of "sitting quietly," he stressed the IDF would use various means to warn civilians of impending attacks, including text messages. 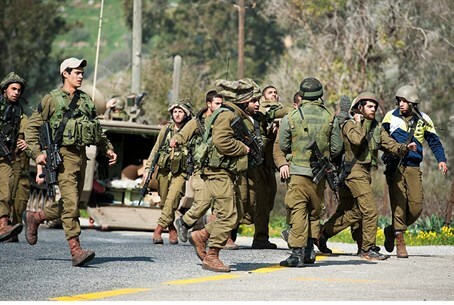 "We will also warn civilians by using small light explosives prior to an attack," Eshel added.